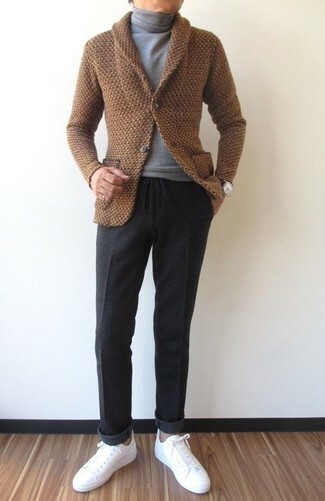 Make a brown shawl cardigan and Hart Schaffner Marx flat front solid stretch wool trousers from Nordstrom your outfit choice like a true gent. Add a sportier vibe to your outfit with white leather low top sneakers. 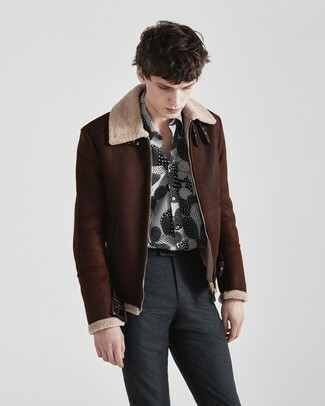 For a nothing less than incredibly stylish ensemble, team a dark brown shearling jacket with Hart Schaffner Marx flat front solid stretch wool trousers from Nordstrom. 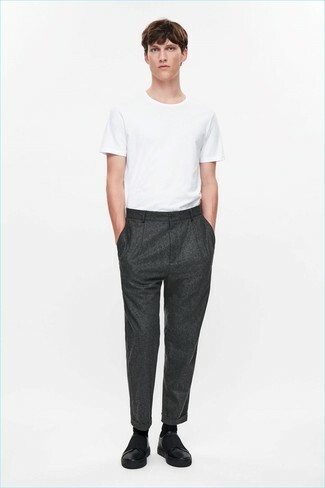 This combination of a white crew-neck t-shirt and Hart Schaffner Marx flat front solid stretch wool trousers is super easy to throw together without a second thought, helping you look dapper and ready for anything without spending too much time going through your closet. 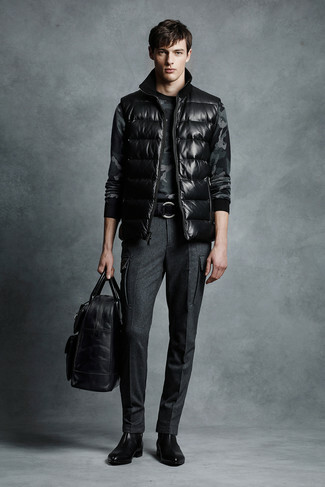 For something more on the daring side to round off this ensemble, choose a pair of black leather slip-on sneakers. 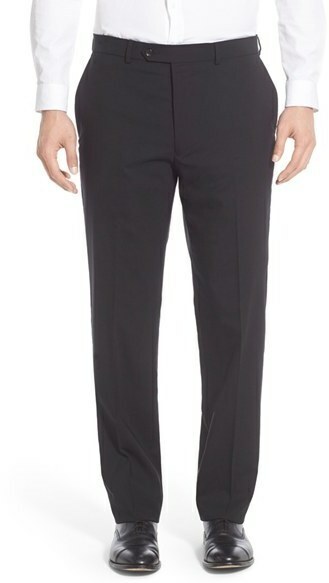 For a nothing less than incredibly stylish ensemble, pair a black gilet with Hart Schaffner Marx flat front solid stretch wool trousers from Nordstrom. As for the shoes, throw in a pair of black leather chelsea boots. 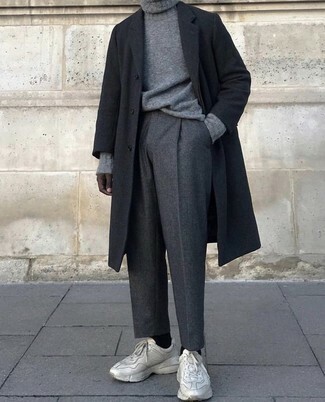 For a nothing less than incredibly stylish outfit, consider wearing a navy crew-neck sweater and Hart Schaffner Marx flat front solid stretch wool trousers. A black shearling jacket and Hart Schaffner Marx flat front solid stretch wool trousers from Nordstrom is a greatcombo for you to try. Add black leather oxford shoes to your outfit for an instant style upgrade. 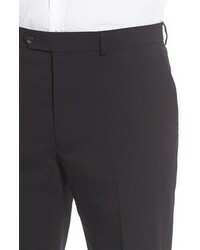 Wear a black overcoat with Hart Schaffner Marx flat front solid stretch wool trousers for a classic and refined silhouette. To break out of the mold a little, go for a pair of beige athletic shoes. 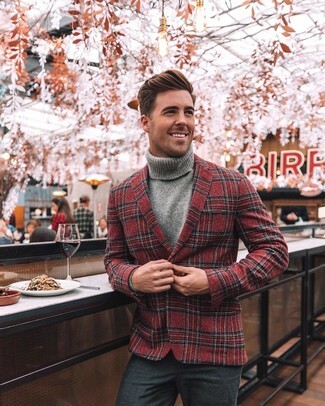 This polished pairing of a red plaid wool blazer and Hart Schaffner Marx Flat Front Solid Stretch Wool Trousers from Nordstrom is a popular choice among the sartorially superior chaps. 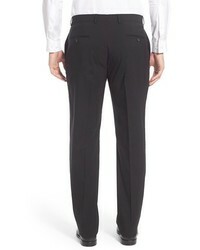 For a nothing less than incredibly stylish outfit, opt for a charcoal pea coat and charcoal wool dress pants. 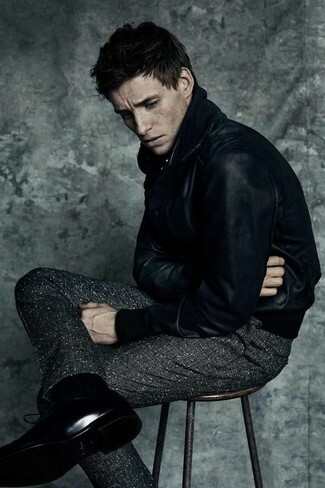 For something more on the daring side to finish off this ensemble, rock a pair of brown leather brogue boots.